Chantel Jeffries has a tiny outlined heart tattoo behind her right knee. 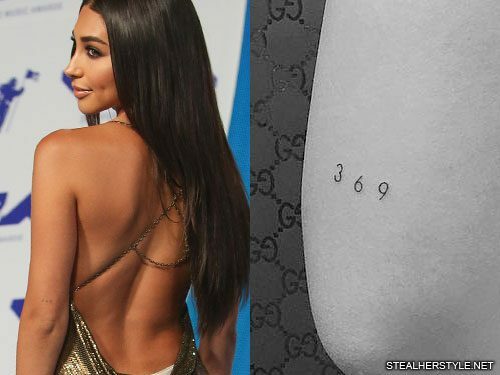 Chantel Jeffries got the number “369” inked on the back of her left elbow by Jon Boy in May 2017. The meaning of the numbers comes from her adoration of scientist Nikola Tesla, who famously said “If you knew the magnificence of the three, six and nine, you would have a key to the universe.” Tesla, who is known as the father of modern electricity, is believed to have had OCD and he did everything in threes. These numbers are also thought to have inspired some of his technological breakthroughs. 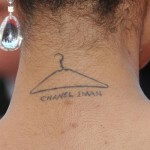 Chantel idolizes Tesla and in addition to the tattoo, she also used Tesla’s number for the name of her clothing line 369 Studios. Chantel Jeffries has a geometric tattoo on her upper back. 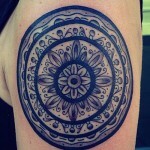 The outside edge is made of overlapping triangles forming a solid black line, while the shaded dotwork interior is comprised of overlapping circles. Both shapes are rooted in sacred geometry, the idea that certain shaped have divine meaning. The design of seven overlapping circles in a triangular lattice grid dates back thousands of years and can be seen in architecture from ancient Egypt, Greece, and Rome. In modern times it has become known as the Flower of Life. 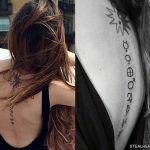 The outline of her tattoo is a Sri Yantra, a symbol which can be found in Hindu temples. The traditional symbol is made of 9 triangles in various shapes and sizes which intersect to form 43 smaller triangles. Together they represent the totality of the cosmos and the human body. 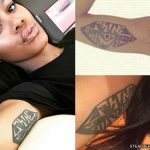 Chantel’s tattoo shows only the outer edges of the shape, so some of the interior triangles aren’t shown at all in her version. 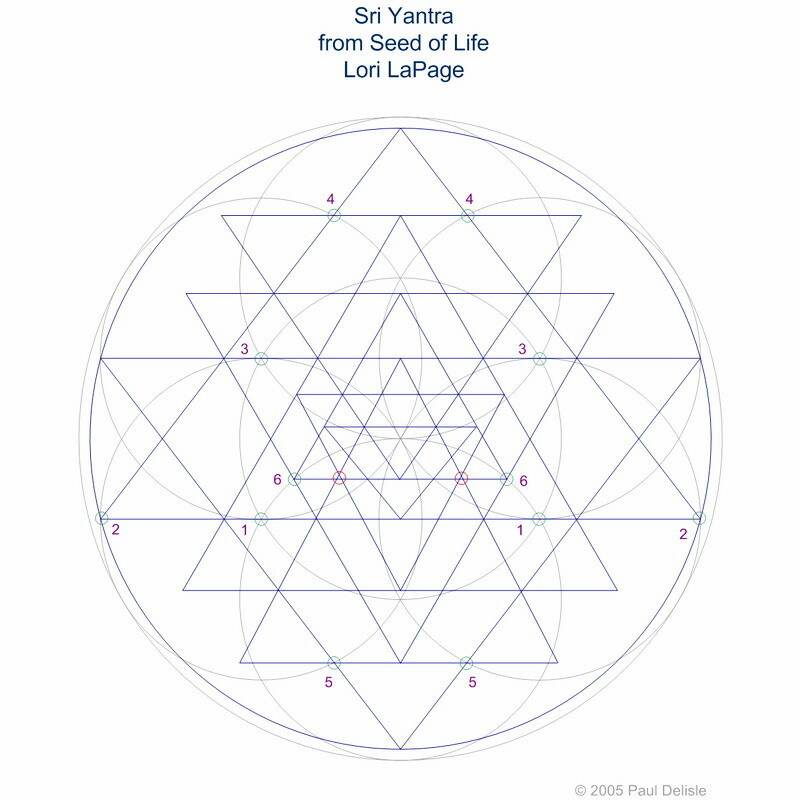 Not all Sri Yantras share the same angles, and modern day researches have put a lot of effort in to coming up with an optimal version of the symbol. 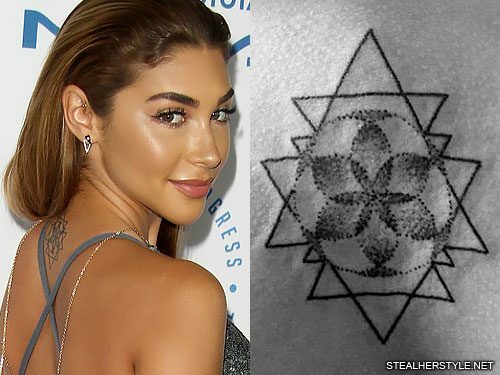 The design that Chantel used has plotted to placement of the triangles based on the Flower of Life — so the two symbols in her tattoo are actually connected to each other! Well it says “i love you” in french. I got it for my grandma, who was french, so she can look down from heaven and see that I love her! 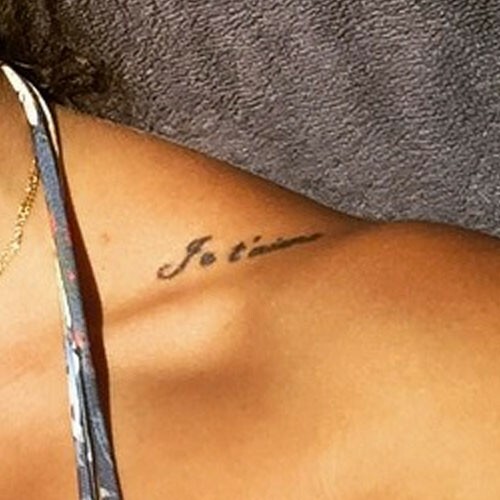 Chantel Jeffries’ hip tattoo says “Noir,” the French word for “black.” It means more than just a color. “Noir: black, dark, dreary, mysterious, raven,” she wrote in an instagram post. 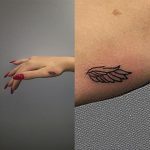 Though perhaps unintentionally, the tattoo also pays homage two of her ethnicities: she is both Black and French (Creole) as well as Native American, Irish, and Italian. 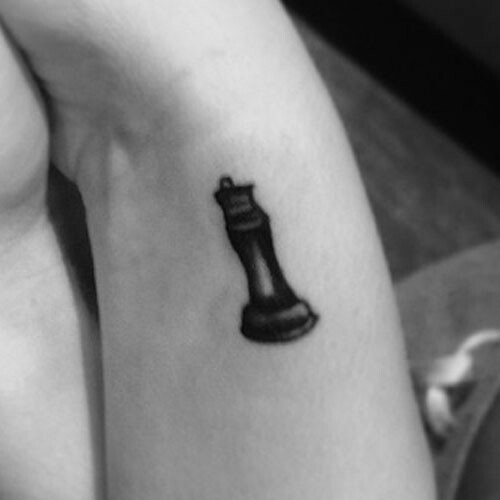 She ended up getting it on the side of her left hip in a vintage-inspired typewriter font. 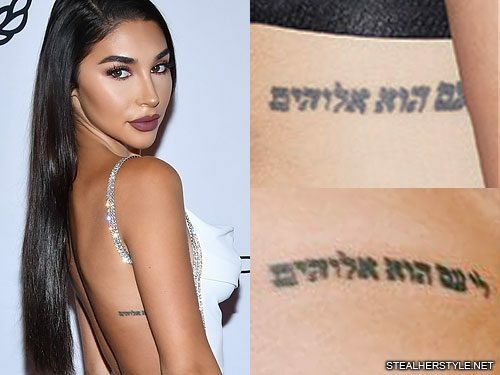 Chantel Jeffries has Hebrew writing tattooed on her right side which is deeply meaningful to her. 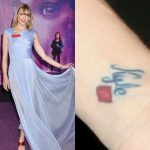 “I got my tattoo in hebrew because of the meaning of what it says. Besides EVERYONE has arabic… Ill pass on that,” she tweeted. We know that it is a religious message as the last word clearly says God. That’s the word on the left, since Hebrew is read right to left: אלוהים which is pronounced Elohim. 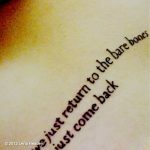 The beginning of the tattoo is where things are unclear. We believe it says “ליעס הוא אלוהים“. This could be read in a way that the first word sounds a little like Jesus (though it’s more like Lias). However Jesus’s name in Hebrew in actually Yeshua (יֵשׁוּעַ) — Hebrew doesn’t have a J sound. If any Hebrew speakers can make better sense of it, please leave a comment below. 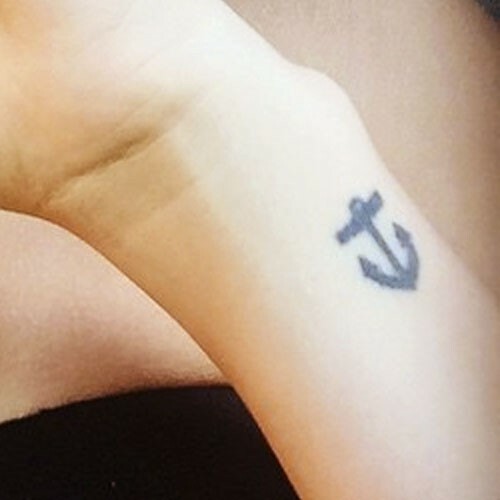 Chantel Jeffries has a tattoo of a compass on the left side of her ribcage. She placed the navigational tool near where her heart is located to represent following your heart.